SAN FRANCISCO -- Intel Corp. has completed its $15 billion acquisition of autonomous driving tech company Mobileye. 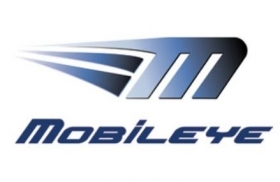 The chipmaker said on Tuesday that it had completed its tender offer for the majority of Mobileye's shares. The finalized acquisition cements Intel's efforts to break into the autonomous vehicle market, which the company estimates to be worth $70 billion by 2030. "This gives us an industry-leading end-to-end solution for automated driving," Kathy Winter, Intel's vice president of automated driving solutions, told Automotive News. With Mobileye, Intel can combine its computing power with sensor and computer vision technology to offer a more complete self-driving system. It also has access to Mobileye's automaker and supplier partnerships -- Mobileye accounts for 70 percent of the global market for driver assist systems. Intel and Mobileye are also jointly developing an autonomous vehicle platform with BMW and Delphi. Intel will combine its automated vehicle group with the technology supplier as Mobileye, an Intel company. The combined organization will be headquartered in Israel and led by Mobileye co-founder Amnon Shashua, who will be an Intel senior vice president and CEO of Mobileye. The combined group will also have operations in the U.S. and Romania. Ziv Aviram, Mobileye's former CEO and co-founder with Shashua, resigned from Mobileye effective Tuesday, but will remain working with OrCam, an artificial vision startup jointly developed with Shashua. Winter said that with Intel's acquisition of Mobileye complete, the company will focus on developing Level 3, 4 and 5 autonomous driving systems, high-definition mapping, 5G LTE connectivity and building up its data center infrastructure. She said: "Now we can actually move forward with our joint planning and marketing approach."